Lenstra, J.K. (2012). 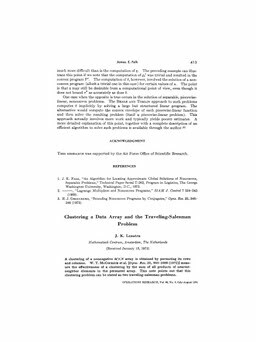 Clustering a data array and the traveling-salesman problem. Operations Research, 22(2), 413–414.